You are here: Home / Blog / Blog / How Much Do Aluminium Bifold Doors Cost? We’re an approved manufacturer and installer of premium Schuco doors, renowned for quality engineering, slim frames and supreme performance. Schuco bifold doors are the most expensive in our product range but they’re also the best on the market. Average costs start at £2,150. Reynaers have an excellent reputation for high-end quality and distinctive style. 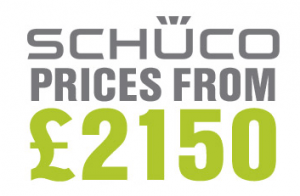 Generally they’re less expensive than Schuco products but still maintain the very best in performance and design flexibility. Lite Haus are an approved UK manufacturer of Reynaers aluminium doors. Average costs start at £1,890. 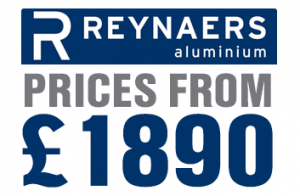 *Update: Lite Haus UK no longer manufacture Reynaers products. This is our own range of affordable bifold doors designed as a cost-effective alternative to the high-end brands. We have used our vast experience and product knowledge to provide value for money whilst maintaining the high market standards that our customers expect. 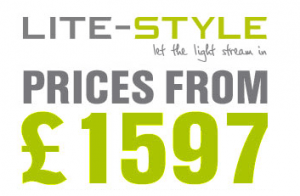 Average costs start at £1,597. Aluminium bifold door cost: what do you get for your money? The quality of the material. All of our products are made from aluminium which is more expensive than uPVC, and for good reason. When you choose aluminium, you’re paying for long lasting quality. Find out more about why aluminium is the best material for bi-folding doors. Choice of glazing. It is standard that our folding glass doors are fitted with double glazing, however other styles of glass can be chosen. Triple glazing is a popular choice for aluminium frames. The size and number of panels. The size of the door opening and layout of your home will determine the number of door panels you can have. Opting for less door panels will keep costs down as it reduces the amount of material required. Read our guide to bifold door configurations to work out what size door is suitable for your home. The colour and finishing touches. You have the option to choose from a range of RAL colours to match the style of your home. You’ll also be offered the chance to customise the finer details, like door handles. Enter your measurements into our bifold door designer and you’ll get a quick and accurate estimate emailed to you. Or if you would like to discuss the options available in more detail, send us a message and we’ll be in touch! Bi-Fold Door Opening Options How Much Do Aluminium Windows Cost?